Display your herbs and spices in style. 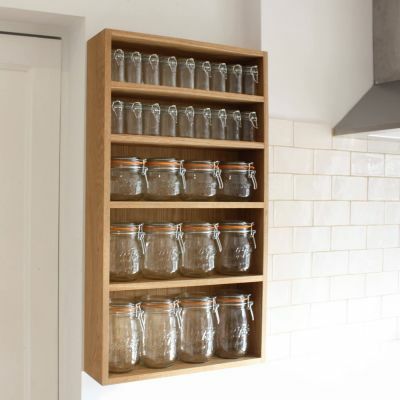 This oak spice rack offers an attractive alternative to hiding that random assortment of jars and packets at the back of a kitchen cupboard. 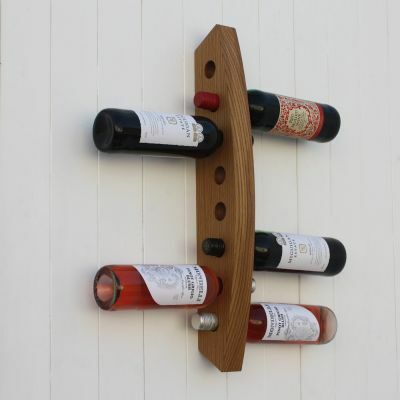 Available in two different shapes, these beautifully finished pieces are designed to make best use of the space you have. 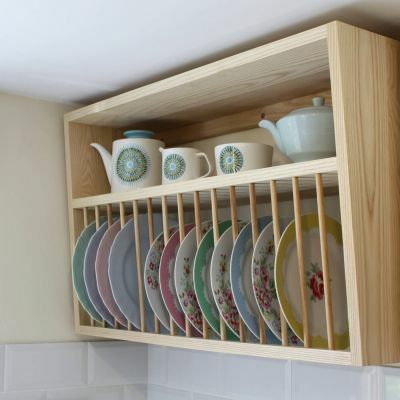 The spice rack attaches to the wall using concealed fixings, which are supplied together with a template. Please note: You can order the jars from us too, but we offer clip top jars with orange rubber seals (please see photo 6), not the screw lid jars shown in many of the other photos. If you wish order the jars from us simply select the quantity you require when ordering. You can of course use your own jars but please do refer to the dimensions below to ensure your jars will fit! We are always happy to discuss bespoke sizes, so if you require a spice rack in a slightly different size do get in touch. Solid oak with a durable oil finish.